Osaka, Japan – Lung cancer remains a major cause of mortality across the globe, although we are gaining a deeper understanding of the genetic background behind this disease, including the mutations that promote it. Mutation in the gene EGFR is known to be a particular risk factor for developing lung cancer and for the emergence of resistance to otherwise effective treatments, but the mechanism behind this has remained unclear. 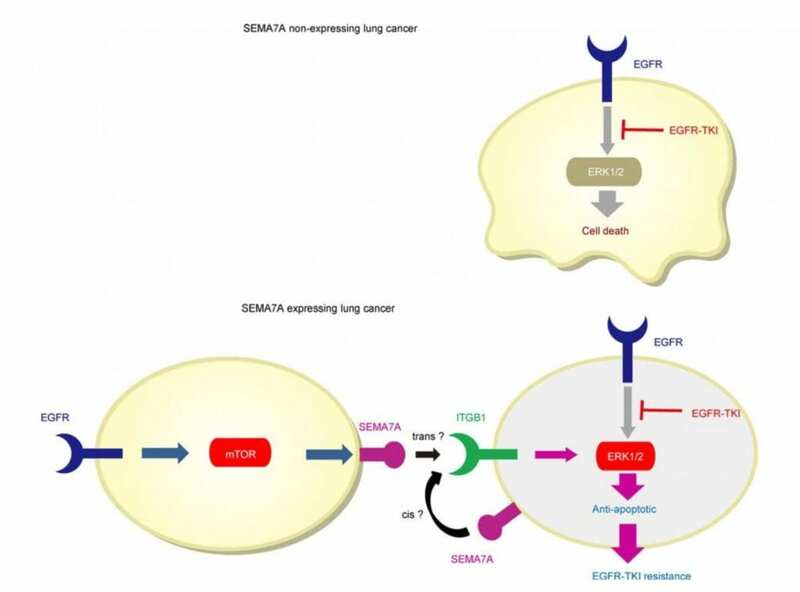 The article “Semaphorin 7A promotes EGFR-TKI resistance in EGFR mutant lung adenocarcinoma cells” is published in JCI Insight at doi: https://doi.org/10.1172/jci.insight.123093.